Check out this unique interview of my editor, illustrator and me. Its interesting because you seldom hear each partner's impression of the team process. I am amazed that, just like in our books, each of our contributions to the interview are good, but together they soar, sparks flying! The Whole Megillah presents a conversation with three professionals engaged in developing a book project: the author, the editor, and the illustrator. 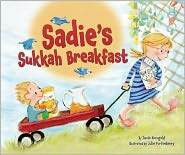 In this case, we’re looking at a new Kar-Ben title, Sadie’s Sukkah Breakfast, written by Rabbi Jamie Korngold, edited and published by Joni Sussman, and illustrated by Julie Fortenberry. The Whole Megillah (TWM): Jamie, how did you come up with the idea for this story? Jamie Korngold (JK): It just came to me as I was hiking one day! I do my best writing while I hike in the ponderosa forest behind my house. TWM: Joni, what attracted you to Sadie’s Sukkah Breakfast? 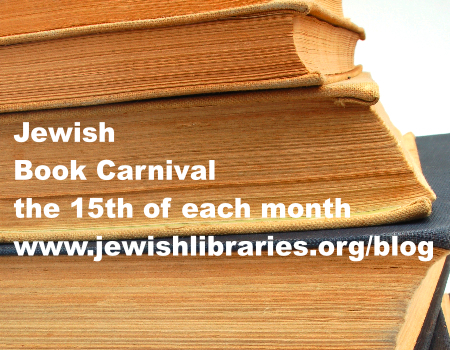 Joni Sussman (JS): There are relatively few Sukkot stories available in picture book format for young children and we felt that Jamie’s manuscript was very sweet and perfectly fit the bill. We felt it was a gentle way to introduce the holiday of Sukkot to families who may be less familiar with this holiday, while at the same time providing a charming story for families who already know about and celebrate the holiday. In addition to portraying the sukkah, we loved the interaction between the brother and sister, and the way they worked together to make the celebration happen. TWM: Jamie, did you provide any illustrator notes? JK: I did ask my editor if we could ask Julie to use my children's favorite stuffies in the illustrations. My husband and children did a photo shoot of their favorite stuffies, sent them to her, and my kids are thrilled to see them in the book, especially ZB the Zebra. TWM: Joni, how did you decide on the illustrator? JS: We were seeking an illustrator with a cute and almost whimsical style, realistic but very kid-friendly, and we felt that Julie’s palette and style really fit the bill. We especially wanted the brother and sister to have personalities, as this is the first of four “Sadie” stories, with Sadie and the Big Mountain coming in Spring 2012 in time for Shavuot, and Sadie and the Almost Marvelous Menorah coming in time for Hanukkah 20012. Sadie’s Lag B’Omer will be coming in Spring 2014. TWM: Did you provide any art direction and if so, what was it? JS: We always provide art direction, while still trying to leave illustrators room to use their own imaginations. Particularly in stories that involve Jewish holidays and ritual and the artist may not be Jewish, we carefully describe what we’re looking for and often send photos and other art to show what we’re looking for. Art direction includes the edited, but not necessarily final, text laid out in page spreads to the correct size and format for the book. The artist then provides sketches, we comment, and the artist then provides final art. TWM: Julie, once you receive the text, what is your process? Julie Fortenberry (JF): I read through the story and the illustration notes from the editor. In this instance Joni sent a few jpegs of sukkahs, and a layout of the text on each page. And she described the action or scene that each two-page illustration needed. I think the placement and timing of the text worked out wonderfully. I especially love the page without any text at all. The one where Sadie and Ori are taking their friends to the sukkah. TWM: Jamie and Julie, please tell us how you communicated with each other. JK: When my publisher told me who was doing the drawings I rushed out and bought Julie's most recent book and I was thrilled so be working with such an expressive illustrator. We finally met month before the book came out, when it had just showed at the Book Expo. It was very exciting to meet each other. We are so proud of our book! JF: Jamie and I talked on the phone and emailed back and forth a couple of times. She sent some great reference photos of Sadie and Ori and their stuffed animals. Usually I don't speak with the author until after the project is done. I guess this is standard practice, so that expectations of the author are not a factor in the illustrator’s decision to draw the characters a certain way. But in this case the photos helped. They inspired me to think about the bond between siblings, and the back and forth between a big sister and little sister or brother. Eventually I met Jamie and the real Sadie and Ori in person. TWM: Jamie, did the illustration meet your vision? Is there anything you wish Julie had done differently? JK: I didn't really have a vision, more of a feeling and yes she did meet that completely. I loved the way Julie portrayed the children's personalities. I especially love the picture where Sadie has her arm on Ori's back and Ori "flying" the napkins through the air. She is an exquisite illustrator. TWM: Now that you have subsequent titles, would you do anything differently? JK: Nothing! I love our team. JS: We are delighted with our author/illustrator team for this series and wouldn’t do anything differently. Sadie’s Sukkah Breakfast has received terrific reviews, even from trade publications that ordinarily might not be interested in a less well-known Jewish holiday, and sales are doing well. TWM: Jamie, as an author, what advice would you give to authors about working with illustrators? JK: Allow the pictures to tell part of the story. Often the picture can say it better than the words. TWM: And Julie, as an illustrator, what advice would you give to authors about working with illustrators? JF: Think in pictures. The more action the better. It doesn't have to be big, or dramatic action, but it should have a variety of emotion and movement. Sadie and Ori make a lot of trips out to that sukkah, and each trip is a little bit different. TWM: Let’s turn the tables. Jamie, what advice would you give to illustrators about working with authors? JK: To authors and illustrators: The most important element of making a great book is to trust the publisher. They know more than you and I do about the entire big picture process. Publishers create author/illustrator teams with great care and intention. The most important thing is to trust your publisher and not get in the way of the process. TWM: And finally, Joni, what advice would you give to authors about illustration and to illustrators about authors? JS: Authors should concentrate on writing and artists should concentrate on art. We are not looking for art direction from our authors, just a well-written manuscript with a great story line. We don’t expect authors to be art directors and we don’t expect art directors to be editors. Our role as publishers as to create a strong author/artist team for each book and I think we’ve succeeded beautifully with Jamie and Julie’s “Sadie” series.